Anand Kumar, a great mathematician and brilliant teacher. Who made Super 30 and made life of many poor students. He is the person who teaches poor students for free, without any hidden selfish motive. The great mathematician was born in 1973 in Patna, Bihar. His father was clerk in postal office. He studied in a hindi medium government school because of low income of his father, he couldn’t go to private school. During school days he developed keen interest in mathematics. During graduation, Anand made some notes on the number theories. His notes were so good, that they were published in books like The Mathematical Gazette and Mathematical Spectrum. Anand Kumar loved to read books but there was no book of foreign author in Patna library. He used to travel by train for 6 hours to Varanasi every weekend, to study at central library of Banaras Hindu University. He used to spend weekend in hostel of his brother. Mr. Kumar secured admission in Cambridge and Sheffield University in 1994. But because of poor financial condition and his father’s sudden death by heart attack, he couldn’t go. After his father’s death, he started selling papads made by his mother in the evening to support his family. To earn extra income he started taking tutions. The mathematician rented a room for ₹500 a month and started his own coaching centre named Ramanujan School of Mathematics. He started with 2 students and reached to 36 students in a year. Within 3 years there was more than 500 students enrolled to his coaching centre. The teacher kept his coaching fee 1000 which was very low as compared to the market price of 6000. In early 2000, a poor student came to Anand seeking coaching for IIT (Indian Institute of Technology). Anand decided to sponser his coaching. This incident gave him motivation to start Super 30. 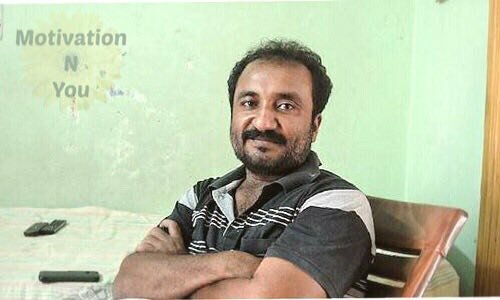 In 2002, Anand Kumar planned to start Super 30 to provide free coaching to poor meritorious students . He called his brother back from Mumbai to support him. Mr. Kumar holds a competetive exam in may to select meritorious students from underprivileged background. He provide these students not only coaching but lodging facility, food and study material for one year. Anand’s mother Jayanti Devi cooks for the students. His brother Pranav looks into the management of institute. During 2003 to 2017, he taught 450 students, 391 students made to IIT. Beacuse of his good teaching skills, most of his students crack the IIT exam. Between 2008 and 2012 he gave consecutive 30/30 result. His result was 100% in 2017 as well. Many government as well as private agencies offered Anand to sponser Super 30. But he did not accepted any of them, as he wants to run it on his own income from Ramanujan institute. The mathematician was attacked by armed men hired by coaching Mafioso, who did not want him to teach students and spoil their business. Discovery channel featured a one hour documentary on Super 30. IIM Ahmedabad, IITs, University of British Columbia, Tokyo University, Harvard and Stanford University invited him to share his experience. His name is secured in Limca book of World Record for his contribution in helping poor students to crack the IIT JEE exam. In 2010, Time magazine had selected the Super 30 institute in the list of best of Asia. The teacher received many awards from state as well as central government. He received Maulana Abul Kalam Azad award by Government of Bihar. Anand Kumar received ‘S Ramanujan Award’ from IRDS (Institute for Research and Documentation in Social Science). He received Ramanujan Mathematician award by Madhya Pradesh government. Bollywood Director Vikash Bahl is making biopic on his life. Actor Hrithik Roshan will play his role in the movie. The teacher helped Amitabh Bachchan to prepare his role in movie Aarakshan. Canada based Psychiatrist Biju Mathew with journalist Arun Kumar wrote a biography based on Anand’s life. Today, when teaching is a business to earn money. Anand Kumar is setting an benchmark, by giving greatest gift, the gift of education to his students.